Where I'd put this, I have no idea, but I think it's pretty cool. 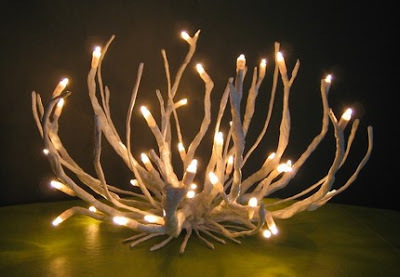 It's supposed to resemble coral and is made out of only lights, wire, and Japanese paper and it's yours for only $110. Shop the collection at - where else - etsy.com.